Insulation, vapour barrier and breather membrane combined in one product. Made thicker to comply with European standards, it is the perfect insulation for your roof renovation. The upper reflective membrane reflects the solar radiation in summer and improves comfort by reducing the risk of overheating whereas the lower film of aluminium returns the thermal radiation in winter. 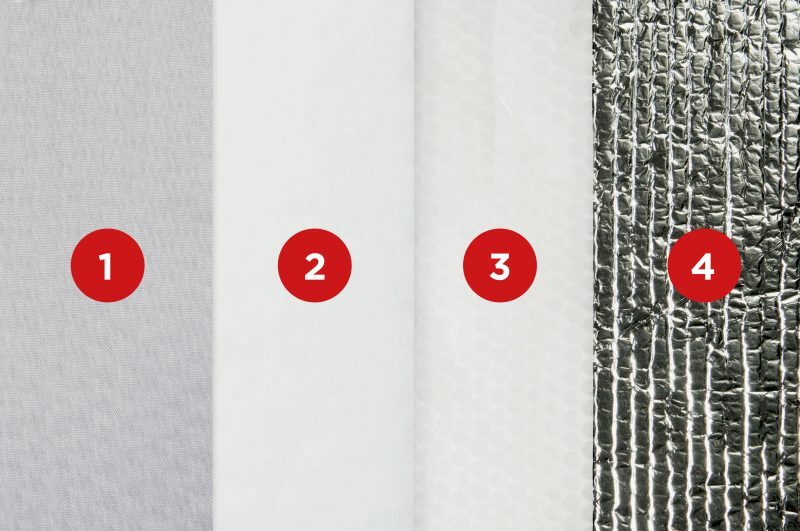 The core of the insulation, composed of a polyester wadding and a layer of dry, stable air trapped in a bubble film effectively slow the transfer of energy by conduction. 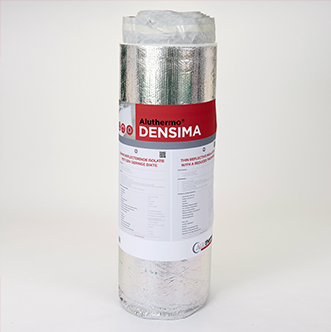 DENSIMA is used as a reflective breather membrane for roofs when there is no insulation material between the rafters. (*) Performance data only valid for the installation between 2 air gaps without direct contact (see installation instructions of the product). (**) Thermal performance measured by the Eliosys laboratory, comparing the energy consumption of a structure insulated once with Aluthermo and once with 200 mm of mineral wool (λ 0.040 W/m.K.). In the absence of consensus on the standard, this result is not considered in the calculation of the EPC or the obtaining of a subsidy. See the Eliosys test report on www.aluthermo.com.